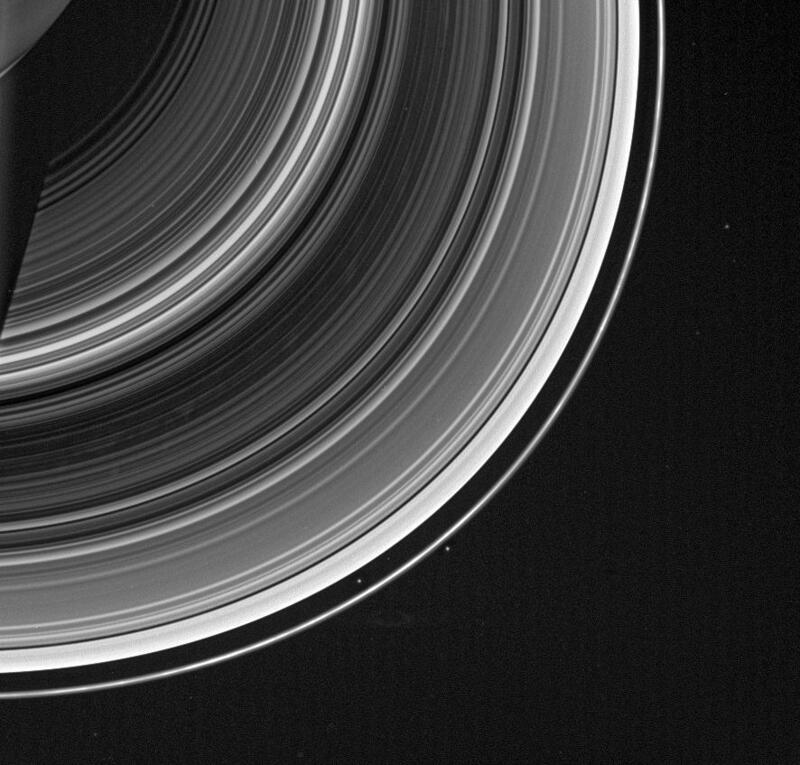 From on high, the Cassini spacecraft spots a group of faint spokes against the striped landscape of the B ring, the dark region in the middle of the rings here. 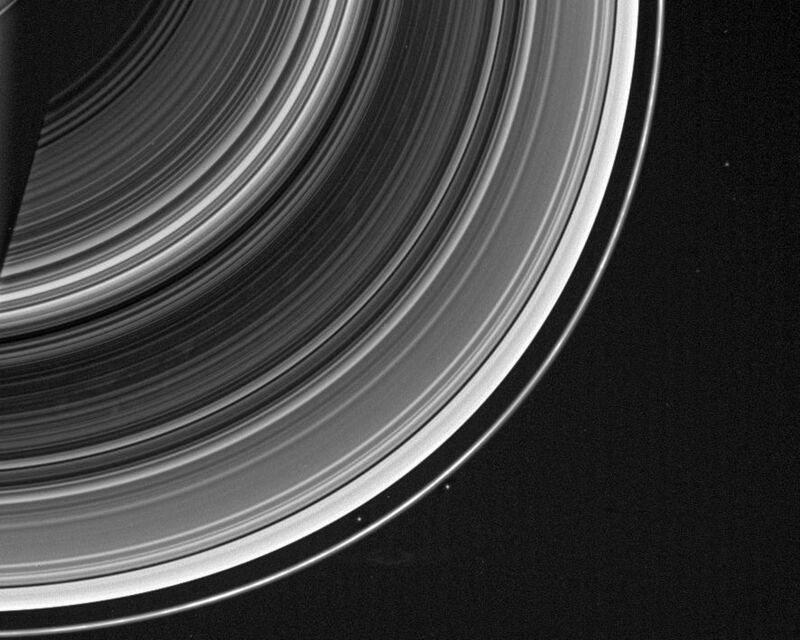 The spokes appear as irregular blotches, bright against the unlit side of the rings. Outside the rings, at about the two o'clock position in the image, is the moon Janus (181 kilometers, or 113 miles across). 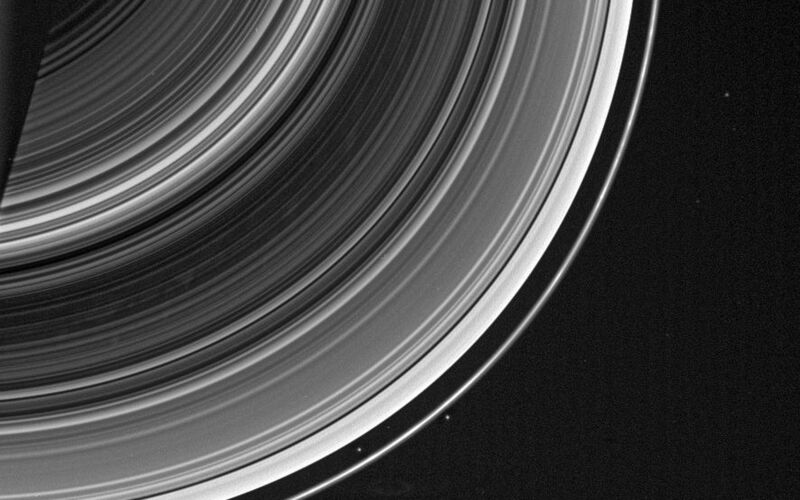 The two points of light below center, on both sides of the F ring, are not the shepherd moons Prometheus and Pandora, but rather, are stars in the background. Other faint stars are also visible in the image. 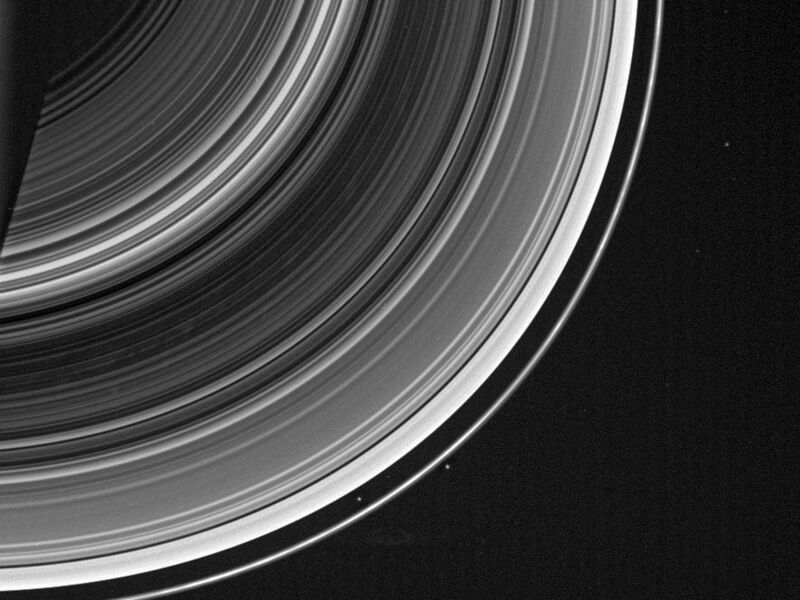 This view looks toward the unlit side of the rings from about 46 degrees above the ringplane. The image was taken in visible light with the Cassini spacecraft wide-angle camera on Dec. 20, 2006 at a distance of approximately 1.9 million kilometers (1.2 million miles) from Saturn and at a Sun-Saturn-spacecraft, or phase, angle of 144 degrees. Image scale is 109 kilometers (68 miles) per pixel.